Tip # 1: Don’t admit “fault” at the scene. Stay calm and do not admit “fault” at the scene of the crash. State law requires you to remain at the scene to exchange insurance information with the other driver and to cooperate with any police investigation. Remember: you are not required to admit to anyone that you caused the collision or that you were even partly responsible. If you were not at fault in the crash, and that fact is abundantly clear (like in a classic rear-end collision), then you have less to worry about. However, in many situations it is not always clear who caused the crash, or who is mostly responsible, so it is in your best interest not to make any comments on liability at the scene. Call a lawyer right away instead. Tip # 2: Call the police to file a crash report. Insurance companies are skeptical of any auto accident claim where the police were not called to the scene of the crash and only a non-formal exchange of information occurred. A police officer can document injuries and property damage which is helpful in building your claim against the at-fault driver. Tip # 3: Report the crash to your own auto insurance company. 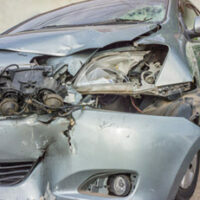 You have an obligation to report the car collision to your own auto insurance company. Your insurance company can refuse to protect you or extend any benefits if a crash is not timely reported. Tip # 4: Ask your insurance agent about benefits available to you under your own policy. You may have coverage for car repair, rental cars, wage loss or medical bills under your policy. These benefits can be used while you wait to settle your claim with the other driver. Using these benefits will not raise your insurance rates if the accident wasn’t your fault. Tip # 5: Cooperate with your auto insurance company. It is best to have a lawyer assist you with this process because you have an obligation to cooperate with your own insurance company. They may need to record your version of how the accident happened. In addition, they may want to inspect your car and obtain information about any injuries and medical care. Refusing to cooperate with your insurance company may cause you to lose benefits. Tip # 6: Do not, under any circumstances, sign documents for the other driver or their insurance company without seeking legal advice. Valuable rights can be lost and you may even lose benefits under your own policy by signing certain documents. Auto accident claims can result in complicated insurance issues and it is best to have an experienced lawyer assisting you through the process. Lawyers uniformly advise against letting someone record your statements except in very limited circumstances. No state laws require you to do so. Even if you have nothing to hide, these statements can be taken out of context and later used against you in denying your claim. If you are injured, a failure to seek medical care and follow your doctor’s advice can hurt your claim. State law now limits the amount of time you have to seek immediate medical care and be compensated for your medical bills by your own auto insurance policy. Tip # 9: Document your medical bills and any time off from work. If you decide to make a claim against the other driver, you will need documentation supporting your wage loss and medical expenses in order to be compensated. Tip # 10: Contact The Matassini Law Firm, P.A. Since 1976, The Matassini Law Firm, P.A. has assisted injury victims and their families throughout the Tampa Bay area. Early legal advice can prevent costly complications later and an experienced lawyer can increase the likelihood of just compensation. We offer a free initial consultation and make hospital and home appointments for your convenience.